S&P 2000 vs. Silver 19.50 - Which Is The Better 5 Year Bet? I try to spend about 50 percent of my time studying the financial markets reading, listening or watching analysts and economists that are bullish. I try to spend the other 50 percent of my time within the bearish camp. I would recommend everyone try do this to avoid confirmation bias; one of the most difficult psychological emotions to avoid while investing. As markets move through cycles people naturally move, like a force of gravity based on human psychology, toward the side the market is moving. As stocks move up bears cannot withstand it and move into the bullish camp. This happens for natural psychological reasons as I just mentioned but it also happens due to career risk. If a professional in the financial world finds himself away from the crowd, and he is wrong for any period of time, he is terminated (or his fund loses investors). The ocean of financial capital around the world has no patience for under performance for any length of time; especially when the world's most popular index (the S&P 500) is on fire. Overall throughout my investing lifetime I have enjoyed decent gains in the financial markets by investing in what makes the most sense to me and not what makes the most sense to the crowd. I entered the silver market with tremendous force in late 2005 through late 2007. I bought some at $7 and some at $15, but averaged around $11 through the period. I still hold the position. I felt like a genius at $50 an ounce in April of 2011 for buying and holding, and I feel like an idiot today for not selling at the top because it's back down to $19.50. At these prices I'm once again accumulating the way I was during 2005 and 2007 (Here's why). I liked Chinese stocks in September 2012 and I like agriculture and uranium stocks today (click the links for a discussion on each asset class). The Chinese purchase has worked out great and time will tell on the recent agriculture and uranium buys. One area of the market that I have continued to avoid since late 2010 has been the United States stock market. This was a semi-bad move from late 2010 to 2011 and disastrous move from 2012 to today due to the U.S. market's vertical and explosive tear upward. Has anything changed? No. I felt the market was overvalued in late 2010 and I feel that it is wildly overvalued today (Here's why). No one cares today about corn, wheat, uranium, or silver (which is great, I hope I can continue to accumulate for a long time), they are only focused on the darling U.S. equity market. It has become more and more difficult to find bearish views on the market to provide the "50% of my time" study. One of the best writers within the bearish camp is John Hussman. I think he provides a well thought-out argument for why the market should turn down in the (near) future. Like me, he has been (incorrectly) bearish on the U.S. market for years. When we reach the tail end of a cyclical run the bulls move from patting themselves on the back to an all-out assault on anyone who is betting on a downturn. One of those assaults this week came from John Swedroe of ETF.com who wrote; Why Care About What Hussman Forecasts? He lays out a decimating analysis of Hussman's longer term fund returns (1% return vs. the market average 8% return). When we reach the end of a market cycle these type of articles make a lot of sense to investors. They are what pushes those that have been on the sidelines (or partially on the sidelines) "all in." Another way to look at it would be to ask; what would the market average returns look like for Hussman's funds vs. the S&P 500 if we were sitting at the peak of the cycle and the market turns lower (Hussman has bets in place that profit or avoid losses in a market decline)? The efficient market theory enters the lexicon when the market is roaring. "You should always stay with stocks for the long run." "Looking at the long term chart you can see that every dip should always be bought." What if every dip should not be bought? 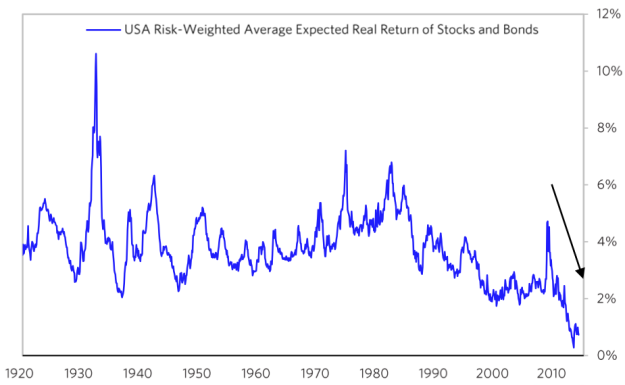 What if we are sitting at a historical peak in U.S. financial markets; both bonds and stocks? What if the next 20% decline is bought by you, but it is not bought by everyone else, and the market moves another 40% lower? What if it takes 25 years to come back to our current (historically overvalued) peak, the way it did in 1929? Do you have another 25 years to continue buying the dip? A 1% return could come in a variety of ways. It could come from a 70% decline followed by large annual gains that average out to a 1% return over the next decade. It could come from the markets moving sideways for 10 years. Either way, doesn't it make you a little nervous that the smartest team of financial analysts in the world are anticipating the worst returns on U.S. assets in history? "One reason to do so is that he isn’t telling me, or you, anything that other sophisticated investors (such as pension plans, hedge funds and mutual funds) are unaware of. The market has already priced the risks on which Hussman bases his analysis. He just believes he’s smarter than the collective wisdom of the market. Or, at least, he wants you to believe he is, even if he knows better." Oh no John, if you could have only stopped before you reached that paragraph. In reality, the market has priced in a world better than absolute perfection moving forward and when the market moves back to reality, I certainly hope Mr. Hussman saves that sentence. 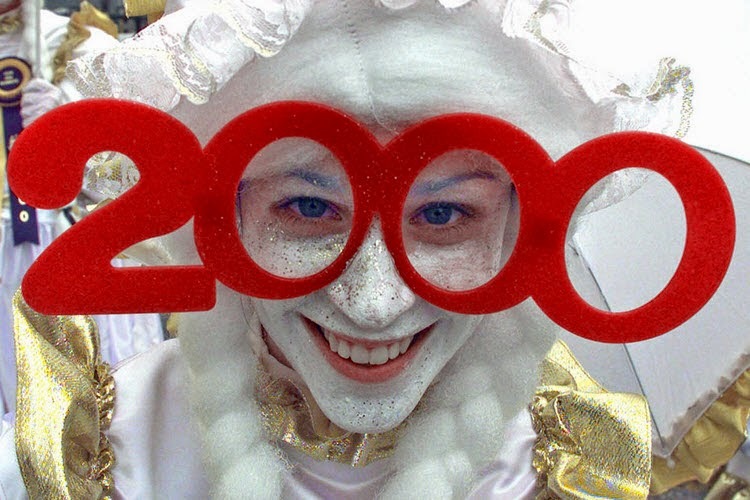 In the meantime, S&P 2000......2500.......3000......Great. I'll just be buying agriculture, uranium stocks, silver, foreign bonds, Chinese water companies, Russian oil companies and all the other things that the world either hates or does not know exist. I do not manage money so I have no risk of losing "assets under management." I do not work in the financial industry so I have no career risk. I'm just a normal business owner who loves the financial markets. Hussman and I will check back in with everyone else in a few years to see if sanity has returned. If it hasn't, we'll keep buying the stuff people hate and shorting the stuff people love. How Far Away Is The U.S. Government Debt Crisis?